I've attached a flyer with information about a very special string quartet recital on October 20. Peter Prier has created a tonally matched quartet of string instruments intended to be played together, as a quartet. 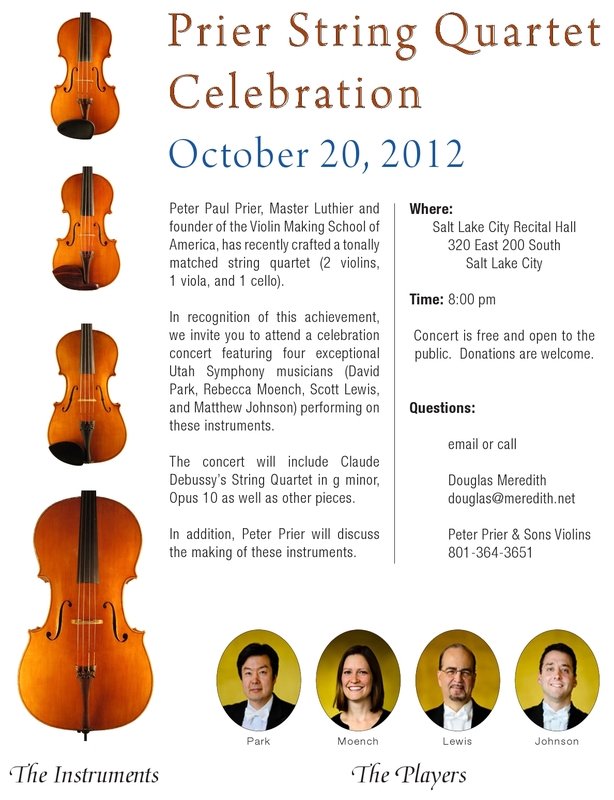 To celebrate this, four Utah Symphony musicians will give a recital on them at the Salt Lake City Recital Hall, 8 pm on October 20. The recital is free; donations are welcome. Please share this information with your youth orchestra and anyone else who might be interested. Retreat is Coming Up! See You Friday!